This time of year you're probably bustling with holiday festivities and cheer. But we also know that with every passing day there is a bit of panic that starts to set in. Let's face it, the pressure of giving your loved one that perfect gift can even keep you up at night. Well, now is the time to really get going and get those holiday gifts checked off your list. And with one of the hottest mid-century modern designers to hit Palm Springs, we asked our latest Celebrity designer Christopher Kennedy to share some of his favorite, fun and kitschy holiday gift ideas. Inspired by my good friend, Kelly Golightly – who runs a lifestyle guide for the modern day Audrey Hepburn. 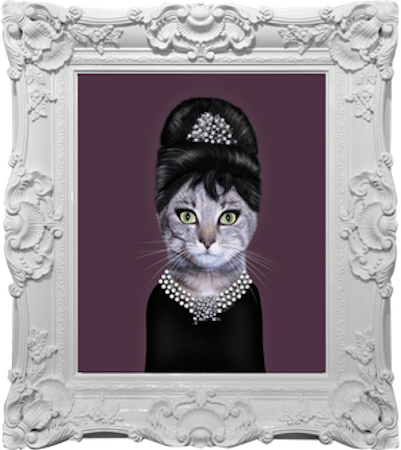 I added this fun print to my list as the purr-fect gift for the fashionista in your life. Looking for a great coffee table book? Well, my second monograph won't drop until February, but you can pre-order it now on Amazon. The design buff in your life will love my 100 Tips for bringing midcentury style into your home...and life. 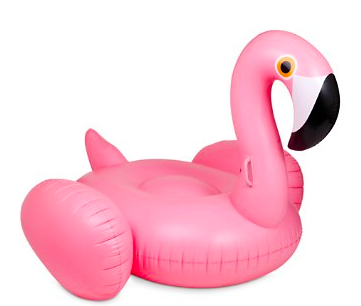 You have probably seen theses adorable giant floating flamingos all over . 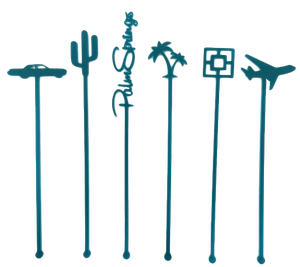 These are a most have accessory for any backyard swimming pool or for that house on the lake. "Later on, we'll conspire, as we dream by the fire..." Even in Palm Springs, it can be chilly on winter nights. This swanky outdoor firepits will surely keep you warm. So I'm a complete pet lover and these little beauties are inspired by a classic building in Palm Springs. They are sure to elevate your best friend's dining experience. Add some sizzle to your swivel! My parents collected swizzle sticks from their evenings out, and I still use their collection of supper-club relics. These new versions from California Lustre are also available at my shop in Palm Springs. 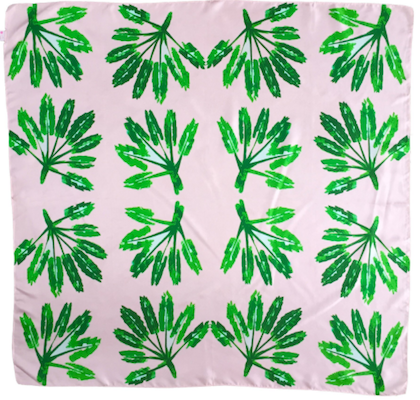 Winter may be upon us, but this versatile scarf will have you dreaming of your next summer vacation. I love the matte finish and the gold tips accents on this candle holders from World Market. You can buy one or cluster all three for a sophisticated modern look. As Liberace said, "Too much of a good thing is wonderful!" While I normally believe in moderation, at the holidays, more really is more. 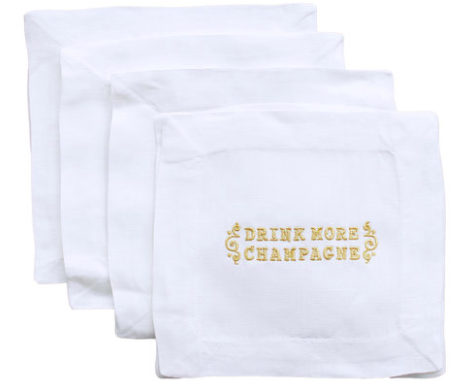 A few glasses of bubbly is a perfect celebrate with family and friends. I believe in setting the table and using the good china on a regular basis. After all, every day is special, not just the holidays. 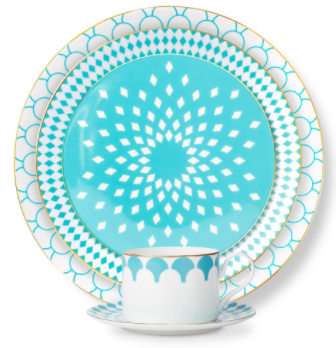 This delightful dinnerware from Brandie will is appropriate for any season. With all the sweets this time of year, I like to keep healthy eating options within arm's reach. This cheerful wire hold apples, oranges and other fruit. 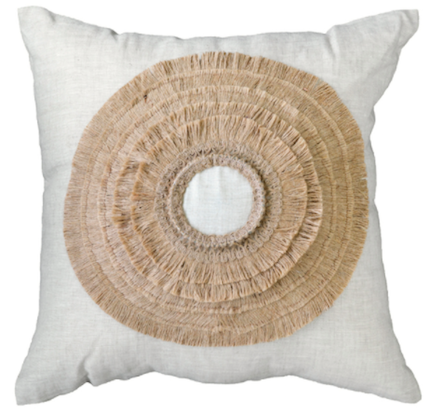 This chic pillow is designed in Australia and hand embroidered. The abstract sun motif is sure to banish any post-holiday winter blues. And, of course, the best gift ever would be a Decorist makeover with me! Give the gift of online interior design and get a fabulous mid-century modern design. And don't worry, you don't have to live in Palm Springs to work with me through Decorist. Order a room design today. Hurry fast.... this won't last!